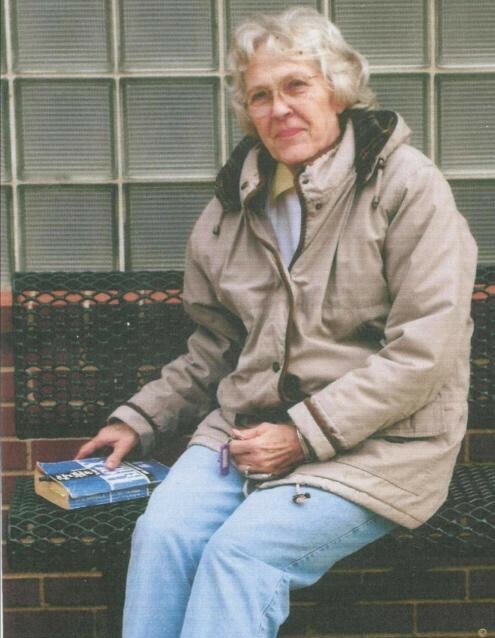 GRAFTON - Mary Elizabeth Hutchinson, 84, passed away at 4:40 p.m., Sunday, February 3, 2019 at Jerseyville Manor, surrounded by her family. Mary was born on March 12, 1934 in Indiana to the late Miles and Mary (Hall) Canaday. She married the love of her life, Joseph Hutchinson, on June 23, 1956 in Indiana, moving to Grafton in 1970. Mary played the piano at the Grafton United Methodist Church for 35 years in addition to the Rosedale and Elsah United Methodist churches. Every person that came in contact with Mary knew of her kind heart, beautiful smile and her love of her church. Mary grew beautiful flowers in her home and garden and was also an excellent cook. Most of all, Mary was a dedicated mother and grandmother. Surviving are her children and their spouses, Michael Hutchinson, and his companion Becki Branstrom, of Fieldon; Richard and Patty Hutchinson of Jerseyville; Carter and Mychele Hutchinson of Grafton and Tom Hutchinson of Jerseyville; nine grandchildren and their spouses, Heather and Peter Bear of Clermont, FL; Joe and Amanda Hutchinson of Wood River; Elizabeth and Christopher Joseph of Ashley; Charlotte Hutchinson of Grafton; Amber Hutchinson of Fairview Heights; Patrick and Colleen Tepen of Ballwin, MO; Brian and Hannah Hutchinson of Jerseyville; Jennifer Michael Adcock of Jereyville; Mackenzie Hutchinson of Grafton; eleven great-grandchildren, Jake and Maddie Joseph; Jazzelin and Leo Coop; Reilly and Reid Hutchinson; Maddie, Leo and Emmy Tepen; Jobie Hutchinson and Victor Adcock; as well as two sisters, Erema Merrill and Helen Laza, both of Texas. She is being welcomed into Heaven by her Husband, Joe, who preceded her in death on July 19, 2018; a daughter, Mary Beth, who preceded her in death on April 4, 1975; two brothers, Harold and Donald Canday and a sister, Peggy Jackson. Visitation will be from 9 a.m. until time of funeral services at 11 a.m., Friday, February 8 at the Crawford Funeral Home in Jerseyville. Mary and Joe will be laid to rest together at the Scenic Hill Cemetery in Grafton, with the Grafton American Legion conducting full military honors in recognition of Joe's service to our country. In lieu of flowers or plants, memorials may be given to the Grafton United Methodist Church.